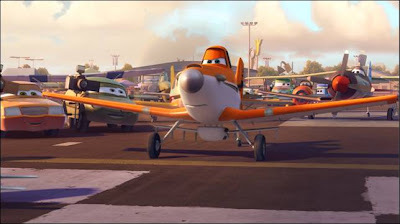 My three year old, is beyond excited that "Disney's Planes," is in the same family as "Cars!" 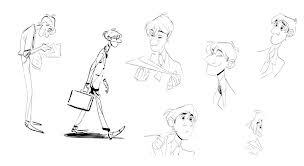 He instantly recognized the eyes, and similar features he has come to know and love from "Cars." He asked if he could watch the trailer five times, and asked how soon he could see the movie? August 9th cannot get here soon enough, for my little guy! We will be at the theater on opening day! 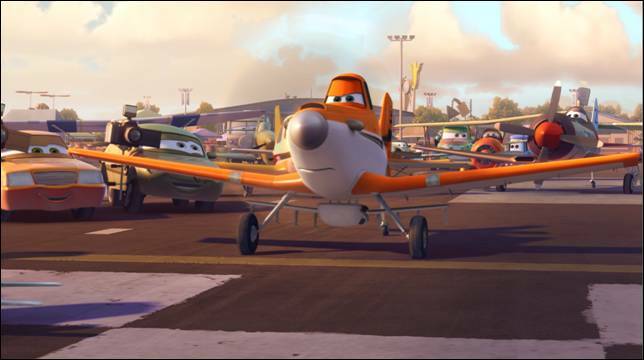 For more information, check out Disney.com/Planes, like us on Facebook and follow us on Twitter. Vlogging Mommies - Do You Love TV? This week we are wrapping up our series on love! Share with us why you love television! Do you watch reality TV, cartoons, comedies, or drama shows? Are you a Gleek or huge Downton Abbey fan? Why do you tune in every week!? Join in on the fun, and tell us about your guilty TV pleasure! Next week we are starting the month of March talking about luck! Do you believe in luck? Ever won something and wondered if you were lucky? Have any reason to think that luck can run out? Join us next week and tell us your thoughts on luck! 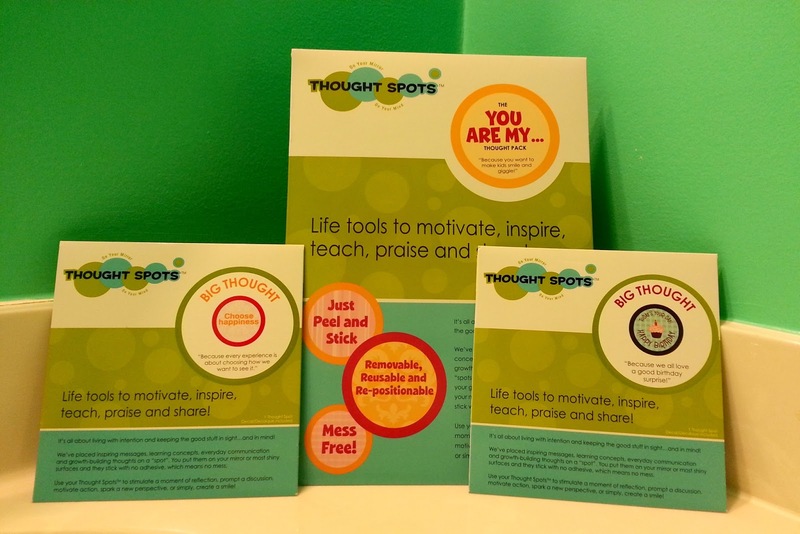 Thought Spots are an award winning collection of inspiring messages, learning concepts, everyday communication, and growth building thoughts that are printed on adhesive-free decals. They stick to most clean, shiny surfaces and are mess-free, removable and reusable; so they really do keep the important stuff in sight...and in mind. For moms, they are a unique tool to add to their existing parenting tool kit for ways to praise and motivate their children, or to work on their own parenting skills. Thought Spots are also a favourite among fitness and yoga gurus, self-improvers and coaches who know that insightful reminders can help people to stay focused and on track. What’s your goal or intention? 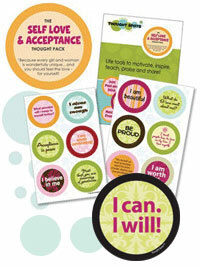 Select a Thought Pack or Big Thought to support it. 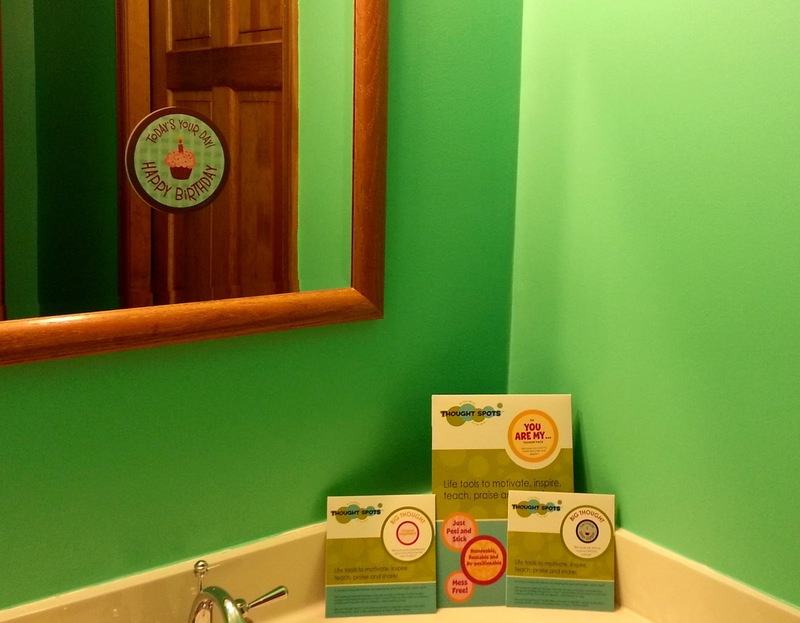 Find a good place to stick your Thought Spot – somewhere it’ll be in sight - like a bathroom mirror or kitchen window. Gently peel off a Spot and apply it to a clean, shiny surface. Because it’s in your sight, you’ll read it. Take time to reflect. Think about it. Say it out loud. Have an “aha” moment. Discuss it. Whatever serves your intention. Keep your thought experience fresh. Change your Thought Spot and its location regularly. Store them in this re-usable envelope, handle with care and enjoy them again and again. Use other Thought Packs or Big Thoughts to support other goals or intentions. Thought Spots are available in 12 different design packs and 15 Big Thoughts, with modern designs, peel & stick, mess-free, reusable, removable and re-positionable. I love that I can change the Thought Spot each morning! 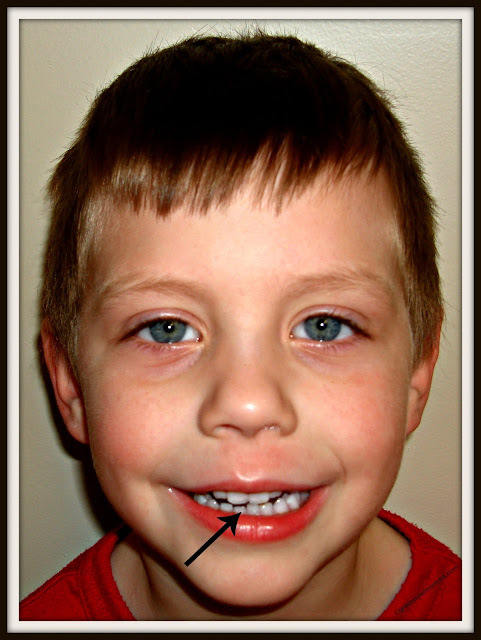 The "You Are My...," Thought Spot Pack has so many of the loving and funny names that I call my boys! From "You Are My Little Monkey," to "You Are My Sunshine," my boys knew right away, who put the Thought Spot on the mirror in our bathroom. Each morning when they brush their teeth, the can see a new message from Mommy and know that I am wanting to encourage them as they start their day! 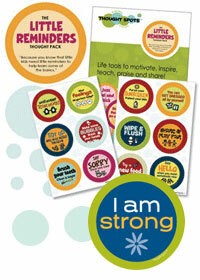 I cannot wait to surprise my youngest son on his birthday next month, with the Big Thought Spot Birthday To You Pack! He will love the special Thought Spot, and extra love! Want to know more or see the other great Thought Spots? Check out the Thought Spots website, Facebook or Twitter. Since my son has been in Kindergarten, he has come home with some pretty interesting art. This one has been the most detailed, and he said it hung in the hallway of his school for a few weeks. 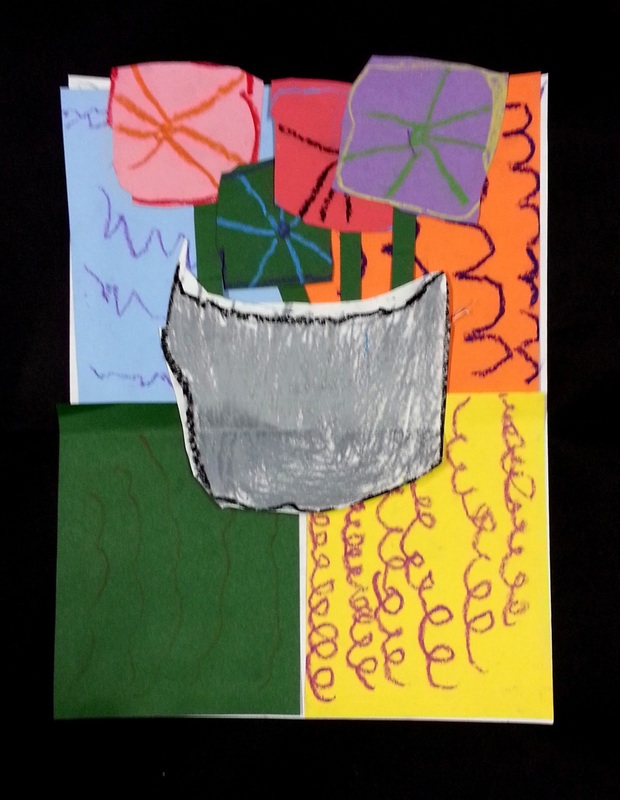 As a parent of a mini artist, what do you do with your child's art? Keep it, take pictures of it, or pitch it when the art pile gets too cluttered? Remember when I reviewed the first book in the Night Buddies series, last year? I am so excited to share with you, that John and your favorite red crocodile are back for another adventure! The guys use many gadgets and quick thinking in round two of the series, which will keep your grade school reader on the edge of their seats with each turn of the page in this delightful children's mystery adventure book! Night Buddies revolves around the nighttime adventures of a young boy named John, who is not ready to go to sleep, and a bright red crocodile named Crosley who turns up under John’s bed. As the stories in each book open, this unlikely pair sneaks out of John’s house using Crosley’s I-ain’t-here doodad, which makes them invisible to John’s parents. They embark on their Program, the Night Buddies word for Adventure, and make their way around the Borough chasing down enemies and cleaning up the mishaps at hand. In Sands Hetherington’s new second book in the Night Buddies series, Night Buddies, Impostors, and One Far-Out Flying Machine, red crocodiles start popping up all over the city, creating confusion, committing crimes, and causing Crosley to go a little crazy at the sight of them. Sands Hetherington credits his son John for being his principal motivator. 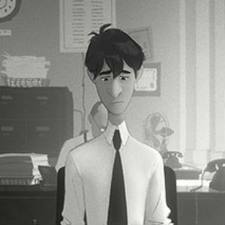 Sands raised his son as a single parent from the time John was six. He read to him every night during those formative years. He and young John developed the Crosley crocodile character in the series during months of bedtime story give-and-take. Sands majored in history at the University of North Carolina (Chapel Hill) and has an M.F.A. in creative writing and an M.A. in English from UNC-Greensboro. He lives in Greensboro, NC. Want to know more about the series or if there will be a third book? You can find out more information, at the Night Buddies Website, Twitter, or Facebook. *I was sent a copy of the book for my personal review, all thoughts and opinions are 100% my own. Patrons with a ticket to the Saturday, March 2nd 2:00 p.m. or Sunday, March 3rd 2:00 p.m. show, plus a valid Pit Pass, can meet the drivers and see the trucks up close at the Party in the Pits from 11:30 a.m. - 12:45 p.m. Pit Passes are available for $10 at the 1st Mariner Arena Box Office, all Ticketmaster Retail Outlets, online at www.ticketmaster.com, or charged by phone at 1-800-745-3000. 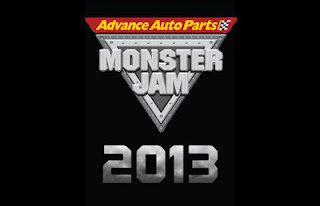 Advance Auto Parts Monster Jam®, the world’s premier monster truck series, will roar into Baltimore, MD. and the 1st Mariner Arena, March 2-3, 2013. This year’s show will feature eight Monster trucks, including four world champions and three making their debut appearance at the 1st Mariner Arena. Advance Auto Parts Grinder®, Captain’s Curse and Crushstation, never before seen at the 1st Mariner Arena, will be joined by Grave Digger®, Spider-Man™, Madusa®, Max-D® and Higher Education. These twelve-feet-tall, ten-thousand-pound machines will bring you to your feet, racing and ripping up a custom-designed track full of obstacles to soar over - or smash through. 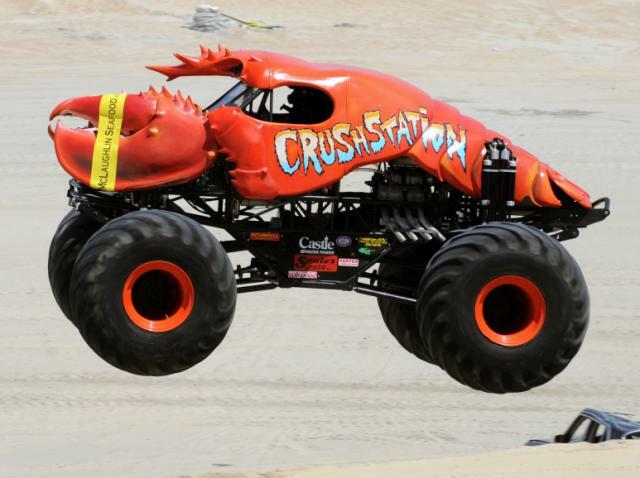 Monster Jam provides a massive night's entertainment tailored perfectly for your family's budget, and these colorful, larger-than-life beasts are sure to capture the hearts of both young and old. Monster Jam, sanctioned by the United States Hot Rod Association®, is the most popular monster truck tour, performing to over 4 million fans annually at the most prestigious arenas and stadiums throughout the world. 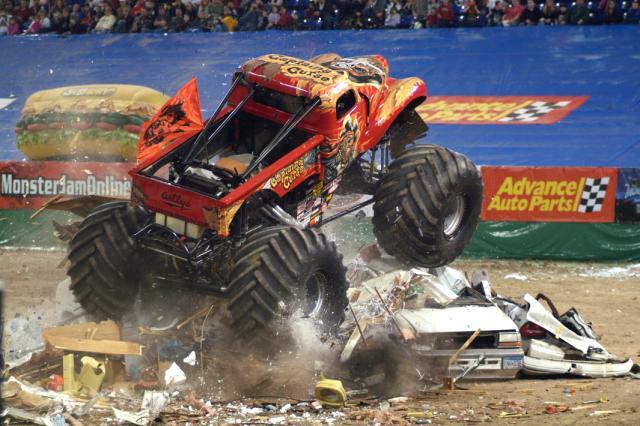 Monster Jam shows consist of three main fan-favorite elements – the pit party, racing and freestyle. Show Dates: Saturday, March 2, 2013 - 2:00 p.m. & 7:30 p.m.
Sunday, March 3, 2013 - 2:00 p.m. Ticket Prices: $60 Gold Circle, $30, $20, $10 Kids Tickets (ages 2-12). All Adult tickets are $2 more on the day of show. Kid’s tickets are not valid on $60 seats. A $2 Facility Fee will be applied to the price of each ticket. Additional fees may apply. Ticket Information: Tickets are available now at the 1st Mariner Arena box office, all Ticketmaster locations, online at www.ticketmaster.com, or by phone at (800)-745-3000. About Feld Motor Sports, Inc. Feld Motor Sports, Inc. is the world leader in specialized arena and stadium-based motor sports entertainment. Feld Motor Sports, Inc. productions include Monster Jam®, Monster Energy® Supercross, AMSOIL Arenacross Series, and Nuclear Cowboyz℠. Feld Motor Sports, Inc. is a division of Feld Entertainment, the world’s largest producer of live family entertainment. For more information visit Feld Entertainment. 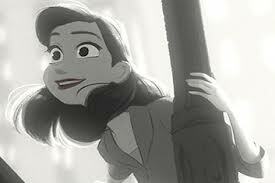 The Oscars Loved Disney Films! 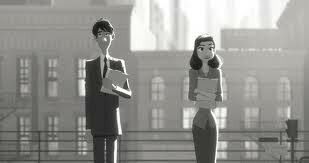 Paperman, Oscar®-nominated for Best Short Film (Animated), will be available to own when Wreck-It Ralph is released on Blu-ray Combo Pack March 5. Today we are continuing our series on love! We talk about the people your Circle of Love! Lets talk about the people who matter the most! Why do you love all of their quirks and qualities? Who do you surround yourself with, and feel love and support? Join in on the fun, and tell us about your Circle of Love! Next week we are wrapping up our series on love! Share with us why you love television! Do you watch reality TV, cartoons, comedies, or drama shows? Are you a Gleek or huge Downton Abbey fan? Could you talk about why you love the shows you watch every day? Share with us why you tune in every week! Join us next week and share the love! Is your family unstoppable? Unstoppable families have unforgettable adventures. To help keep active families going, Smucker’s® Uncrustables® crustless pb&j sandwiches have continued to partner with unstoppable mom Kristi Yamaguchi to encourage fans to vote for the best unstoppable family photo at Uncrustables.com for the chance to win a coupon for a free box of Uncrustables sandwiches. Fan votes will help select the Grand Prize Winning photo, and who will receive a check for $15,000 dollars to create their own unstoppable family adventure and a year’s supply of Uncrustables sandwiches. Now through March 6, 2013, visit Uncrustables.com once a week to vote for the best unstoppable family photo and caption. Following the promotion period, 300 winners will be randomly selected to receive a coupon for one free box of Uncrustables sandwiches (4-pack). For complete details and Official Rules, visit www.uncrustables.com. Open to legal residents of the 50 United States and D.C., 18 years and older. Void where prohibited. Be sure to like Uncrustables on Facebook, follow Uncrustables on Twitter, and mark your calendar for the daytime Twitter party with Uncrustables Sandwiches and Kristi Yamaguchi on Thursday, February 21 from 2:00 – 3:00 p.m. EST! Join Uncrustables sandwiches, Mom It Forward, and our panel of experts as we chat about how to keep your busy family going with unstoppable mom Kristi Yamaguchi. The party will be held on Thursday, February 21 from 2-3 p.m. EST (1 CST, 12 MST, 11 PST). Click here to see details about the giveaway and enter for a chance to win. and wants to know how long it will take to fall out?! New year, new resolutions! 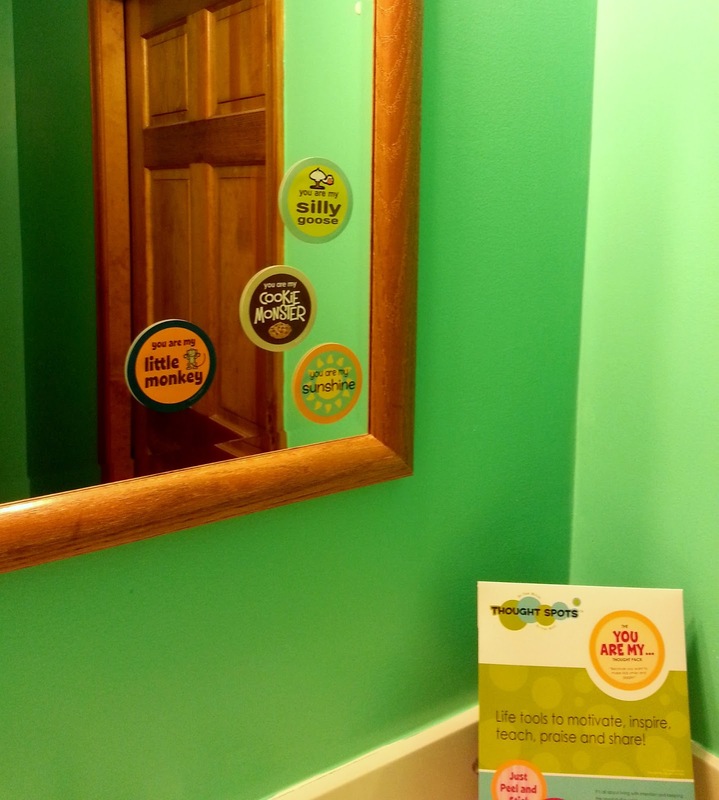 As we settle in to 2013, Shout® is on a mission to encourage families to get a little messy and embrace all life has to offer without the fear of a little stain. It’s time to Reprogram America for Fun! To do that, Shout® has teamed up with Olympic athlete and mom — Jennie Finch and her kids Ace and Diesel — to encourage you and your children to seize the moment, get a little dirty and live life out loud in 2013! 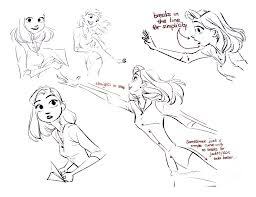 Below are Jennie’s tips to help you live life out loud. Plan Family Time — Set aside at least one day a week to do a special family activity. Some of my favorite activities include sledding, ice skating, hiking, and riding four wheelers. Whatever you do, don’t let the weather stop you! In fact, my kids love puddle hopping. If it’s not raining, we make mud puddles with a hose and a patch of dirt. It’s amazing how much fun it is to jump with them! Let Loose — Have a dance party. Remember the Macarena, the chicken dance (beak, wings, tail feathers, clap, clap, clap!) or even the hokey pokey? It’s fun because it’s new to the kids, and you’ll be laughing hysterically by the time you’re through. Take On New Challenges — Set a goal to learn something new as a family. Art projects and cooking are my favorite activities to do with my boys. Ace especially loves to cook, so we seek out new recipes to tackle together. Kids often spill, but don’t let that deter you — just keep Shout® products on-hand. Are you ready to have fun with your family? If so, be sure to join the #gno Twitter party! Join @Shout, @MomItForward, @jfinch27, and our panel of experts as we chat about ways to live life out loud and have fun. The party will be held on Tuesday, February 19 from 9-10 p.m. ET (8CT, 7MT, 6PT). Click hereto see details about the giveaway and enter for a chance to win. Vlogging Mommies - Do You Love Blogs? Vlogging Mommies - Valentine's Day Plans?